Trying authentic "Washoku" or Japanese food will be a highlight of your trip. Deep Japan presents a slew of options for all types of foodies (vegetarian, vegan, fish lover, meat eater, etc.) so take a look at some tips on "What to Eat" and "How to Eat" from your super Senpai who have been here long enough and made enough mistakes to be qualified to fill you in! I recently heard from an older sushi chef that sushi is Japan's original fast food, with both high and low quality options. Nigiri sushi is literally just a quick bite if you have some fish and some rice, so trying to over-beautify sushi is in some sense getting away from its roots. 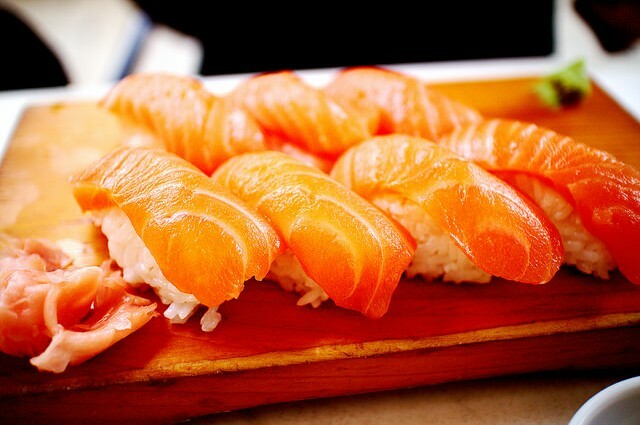 Also, nigiri sushi is best enjoyed when the slice of fish is immediately cut off from the fish steak, so using your hands to grab it and eat it shows that you are concerned with having the fish when it is still as moist as possible. Just be a bit adventurous and say "Omakase" and then say however much amount you want to spend (maybe between 5000 and 10,000 yen) and the sushi chef will create some amazing "nigiri sushi" for you (nigiri is the name for the sushi that has fish on the top and rice on the bottom, sashimi is pure raw fish, and maki sushi is the rolled type, just FYI). Oh-Maka-Se means "I leave it to you". Go for it, leave it to the Chef (they wont do this for you at the conveyor belt type) and see what amazing tastes are available this season. This golden find when you exit left out of the main entrance of Shinagawa Station, and walk half a kilometer and down to the left, you will find a whole line of Japanese ‘fast-food’ noodle and curry eateries. Reasonably priced, fast-paced, and delicious, I would highly recommend these shops. As you can see, the numbered dishes in the windows correspond to the numbers on the machine.